It’s the season for sending out Christmas cards to everyone on your list to wish them Happy Holidays and provide your annual photo of the kids. 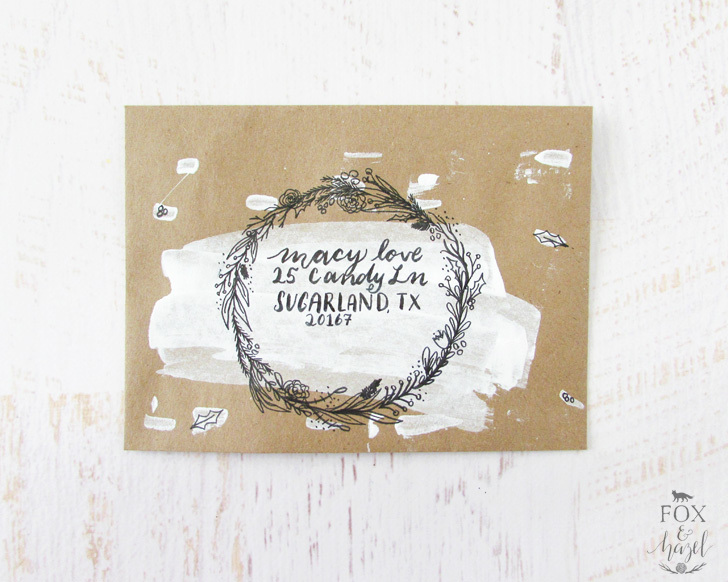 I probably should be actually sending out my Christmas cards instead of sharing all these fun envelope art ideas, but I like to live on the edge! 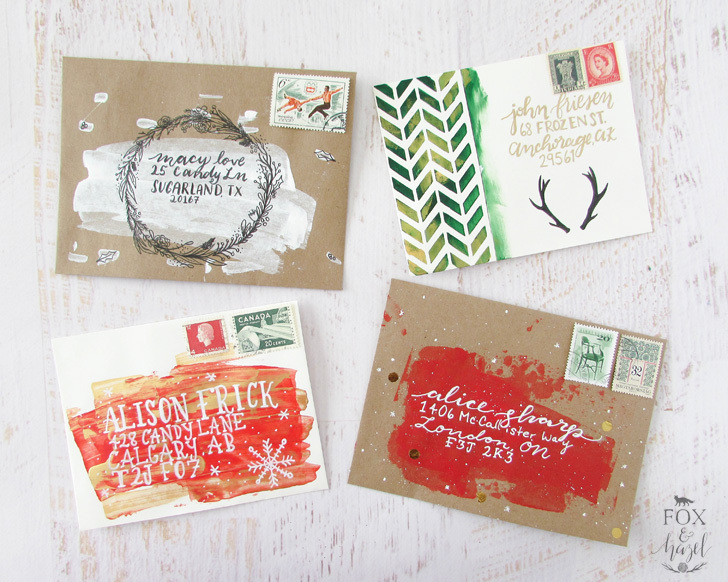 Here are 4 super easy artsy ways dress up your Christmas cards envelopes! 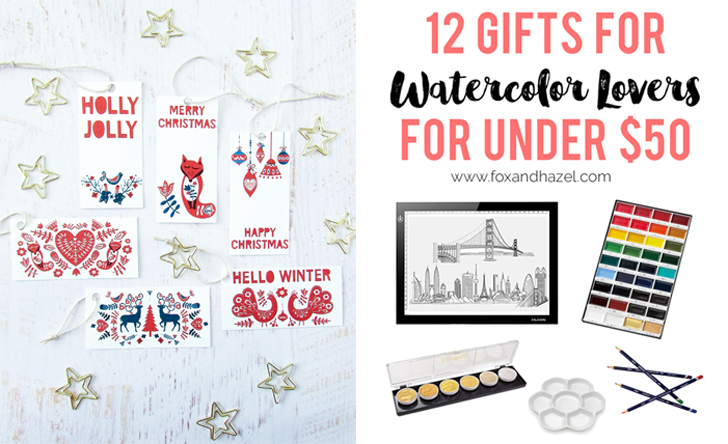 They are so quick that you can do several at a time and impress everyone on your mailing list with how creative you are! 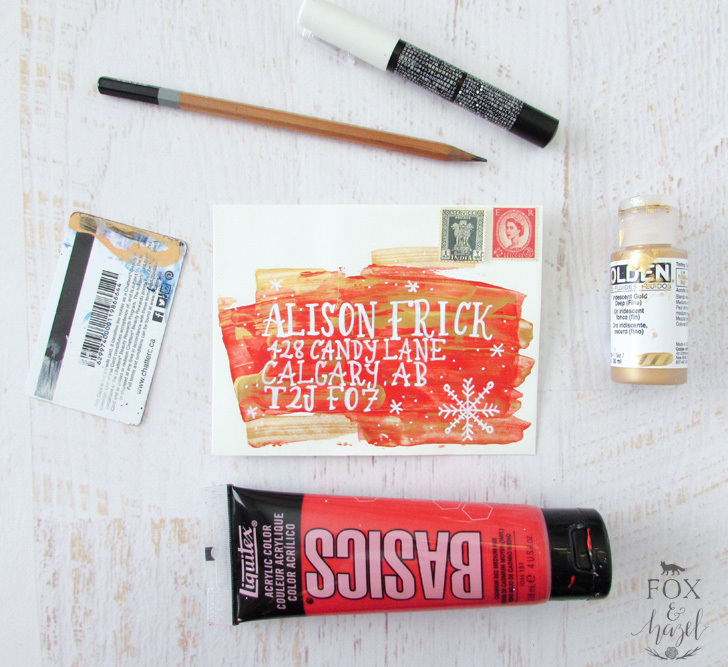 Using a credit card or palette knife, scrape some red paint across your envelope. Add as much or as little as you like! Add your “snowflakes” by splattering white paint over top. Add some gold stickers or punch them out of gold tape with a hole puncher. Apply randomly! 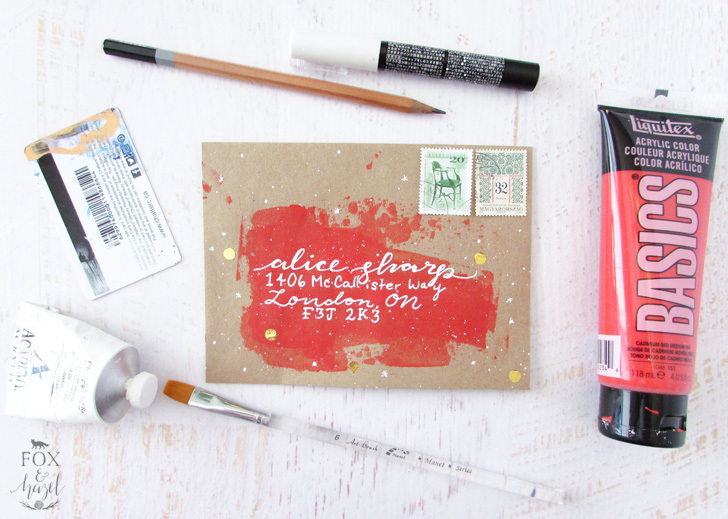 Using a white paint pen, address the recipient over top of the red. Lay down the stencil on the left side of the card, about 1/3 covered. 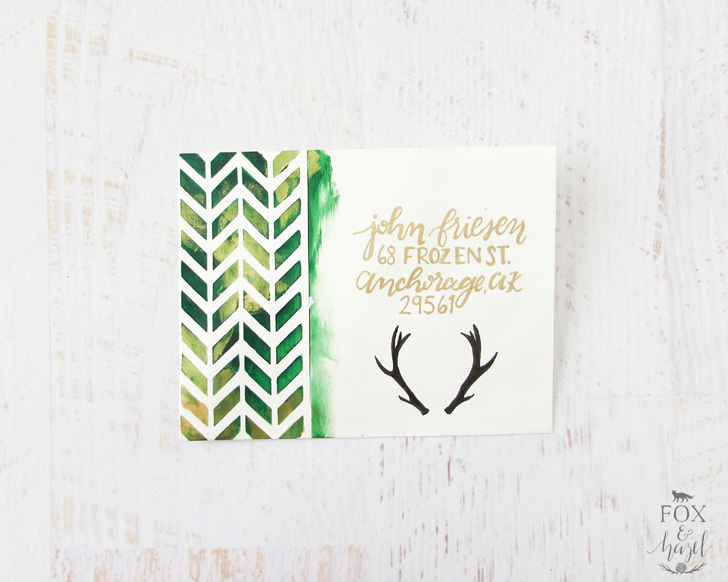 Use the Fude Brush pen, or any felt pen, to draw a set of antlers below the address. 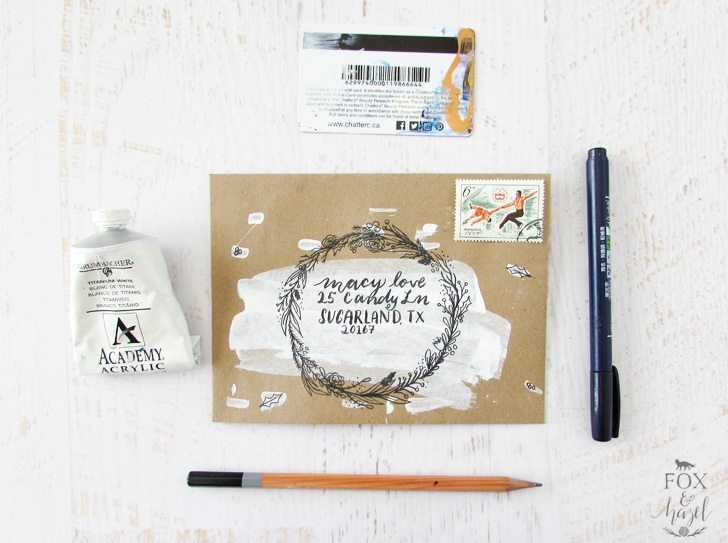 Use the old credit/gift card to scrape some white paint across the front of the envelope. Dab some smaller marks around the main swipe. Add an extra layer if the paint is not opaque enough. Using a light pencil, trace a circular object in the size of wreath you’d like to create. 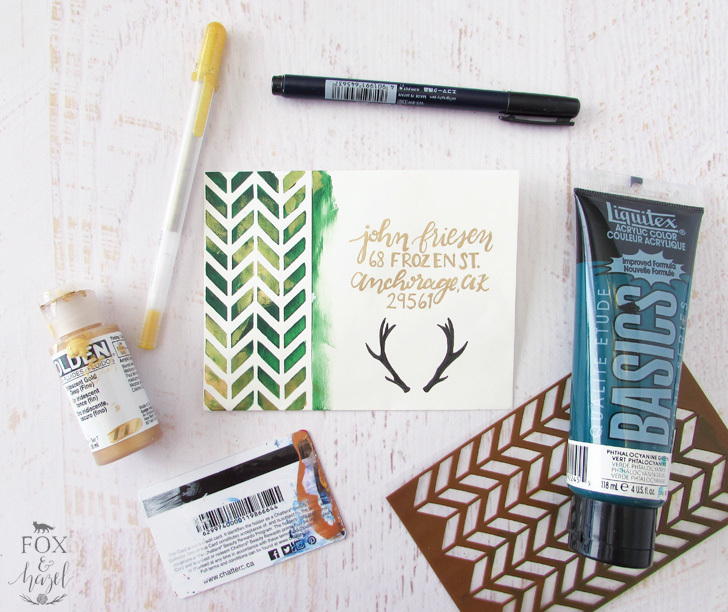 Create leaves, branches and other foliage around the traced circle to create a wintery wreath with the Tombow Fude Brush pen. Add some extra leaves and berries in the smaller marks. Address the recipient within the wreath. 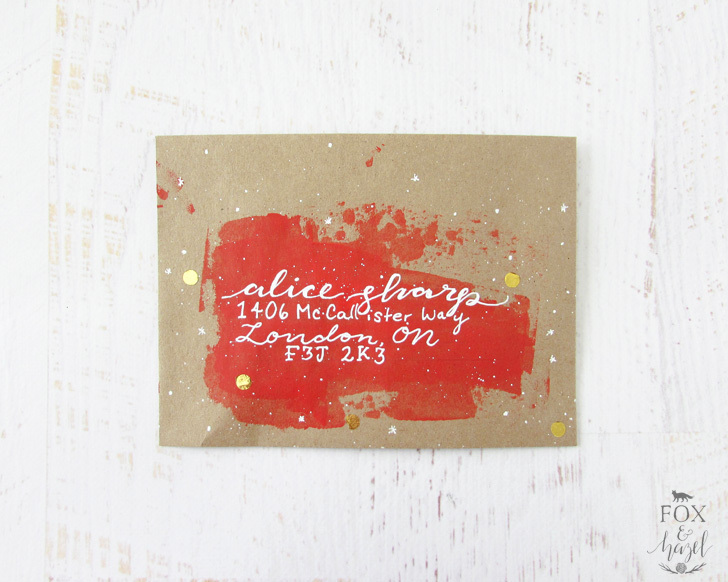 Use the credit/gift card to scrape red paint across the envelope in a large rectangular-ish shape. Go over again with a little bit of gold paint to add contrast. Address the envelope to your recepient! You may have to go over the lettering twice to get the white opaque enough. See how easy those are? 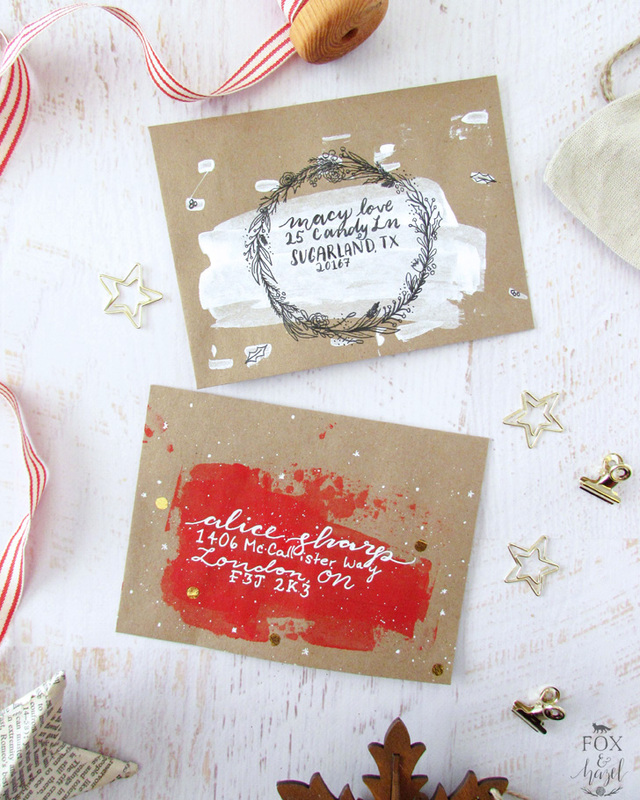 They’re fast, foolproof and add a little something extra to your Christmas cards this year. 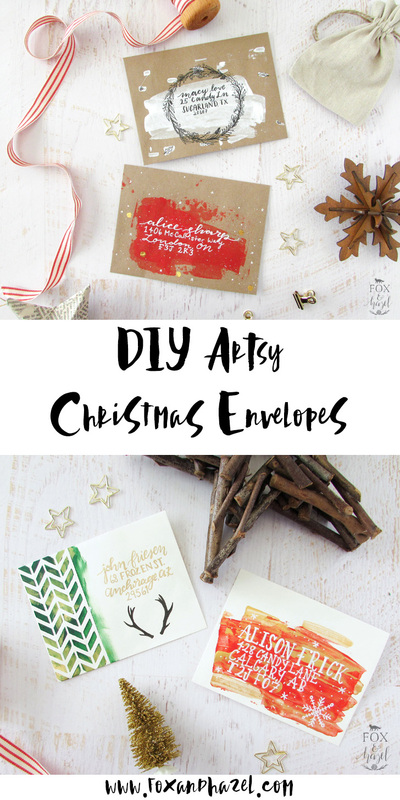 These probably aren’t a great idea if you send out like 100 cards, however, if you send quite bit less then this is a fun way to dress up your cards. These are seriously so pretty! I can’t wait to try these techniques.